Antoni Gaudí is the most famous architect of the Catalan Modernism movement, and there are a number of Gaudí sites in Barcelona Spain that you can visit. Although Gaudí is best known for his masterpiece Sagrada Família as well as Casa Batlló and Park Güell, there are many other Gaudí works that you can see and visit in Barcelona. Some are well-known, others are seldom visited. Although not widely appreciated during his lifetime, Gaudí’s works are now widely studied by architecture students worldwide, seven of his works have been declared World Heritage Sites by UNESCO, and Sagrada Família has become one of the most visited tourist attractions in Europe. This guide will assist you in deciding which attractions to visit, help you locate the Gaudí sites in Barcelona, and provide tips on visiting over 20 different Gaudí attractions. How many Gaudí sites should I visit? Which Gaudí sites in Barcelona are included in the UNESCO designation? Budget tips for visiting Gaudí attractions? Are the Gaudí sites included in the Barcelona Passes? Is there a best order to visit Gaudí attractions in Barcelona? Best time of year for visiting Gaudí attractions? Best time of day for visiting Gaudí attractions without crowds? Gaudí Focused Walking Tours in Barcelona? Where to find more information to plan your trip to Barcelona? The first section will help provide some general information on when, where, and how to visit the Gaudí sites in Barcelona. 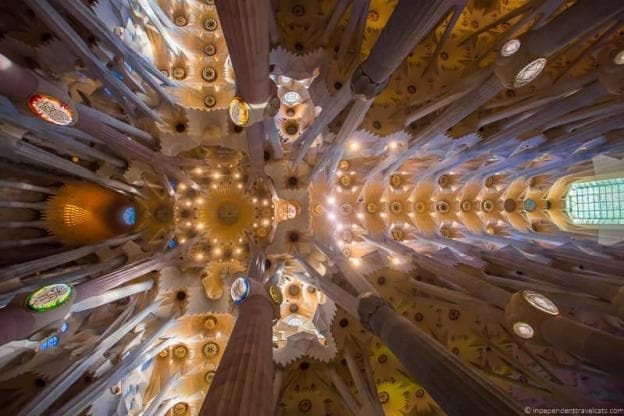 While we are not experts on Antoni Gaudí or Modernism, we also provide a brief overview of the man and his significance as an architect as we believe it is important to have a general understanding to better appreciate and understand his work. 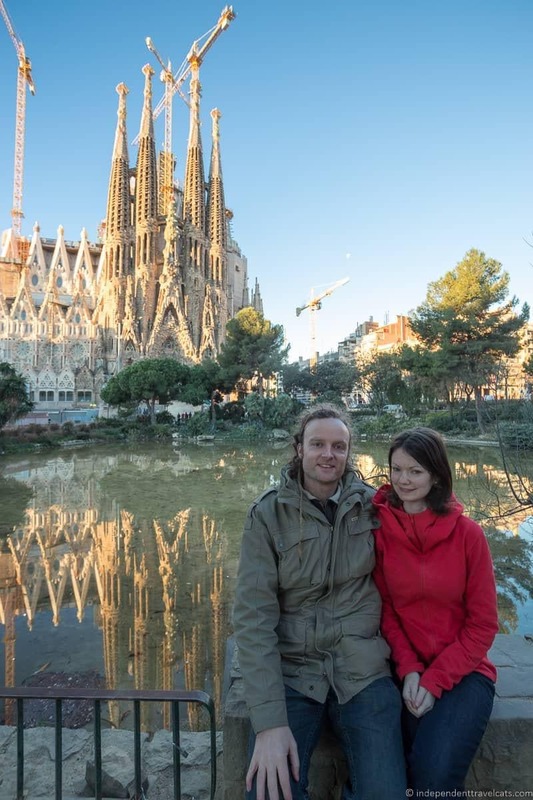 We also share some planning tips, how to save money using Barcelona discount passes, and some resources for finding out more information to help you plan your trip to Barcelona. Antoni Gaudí, full name Antoni Plàcid Guillem Gaudí i Cornet, was born in Reus, Spain in 1852. Gaudí showed early promise as an artist and after serving in the military, he studied architecture in Barcelona. Gaudí went on to a long and distinguished career as an architect where he designed and built a number of innovative and original works. Gaudí is often considered the master of Moderisme or Catalan Modernism, although it is difficult to put his body of work into only one particular style. Modernism in terms of architecture is characterized by the predominance of the curve over the straight line, asymmetry, rich decoration and detail, use of natural and organic motifs, and dynamic shapes. Gaudí found a lot of his inspiration in nature and avidly studied organic and anarchic geometric forms and applied these often to his work. His buildings are distinctive, especially his later works, and used elements that had never been applied to architecture at the time. As a person, Gaudí was a private and spiritual man and one who was proud of his Catalonia culture and the Catalan language. He never married and so devoted his life mostly to his work and his Roman Catholic faith. As a young man, he dressed well, attended social events and the theater, and traveled by horse and carriage. However, as an older man, Gaudí lived frugally and neglected his appearance, wearing tattered clothing. 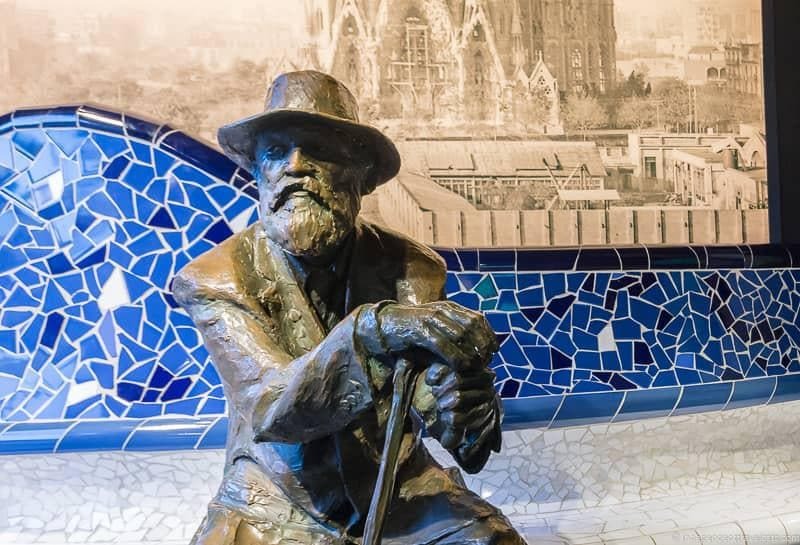 In fact, in June 1926, Gaudí was struck by a passing tram and was assumed to be a beggar because of his appearance; this assumption may have led to his death as medical treatment was sadly delayed. During Gaudí’s final years, he devoted himself entirely to working on Sagrada Família. During Gaudí’s life, his work was controversial and not widely appreciated or admired. In fact, his work was widely criticized by many art critics and architects of his time. It would not be until well after his death that there was widespread recognition and appreciation for his work. His work was admired by fellow innovative Catalan artist Salvador Dalí and others who would help promote the status of Gaudí’s work. Today, Gaudí is the best known architect of the Catalan Modernism movement and his buildings are known worldwide (admired, criticized, and studied) and constitute several of the top tourist attractions in Barcelona. This totally depends on you, your schedule, and your interests. I would certainly not recommend trying to visit all the Gaudí attractions in Barcelona unless you are very interested in Gaudí and have a full week to spend in Barcelona. For most people, 3 to 5 attractions is sufficient to get a good understanding of Gaudí and his architecture. I would recommend choosing at least one museum or exhibition and then at least two of his architectural achievements. If you want to see as much as possible in one day, we recommend this Gaudí-focused 5.5 hour guided walking tour by Take Walks. It is a guide led walking tour that includes visits to Casa Batlló, Sagrada Família (including a tower visit), and Park Güell as well as visits to see the exteriors of Casa Milà, Casa Vicens, and other Modernisme buildings. If you are only going to visit one attraction, I’d probably recommend Sagrada Família (his masterpiece) or Casa Batlló as these are two of the most popular and intricate. The seven buildings included in the UNESCO designation are: Park Güell, Palau Güell, Casa Milà, Casa Vicens, Gaudí’s work on the Nativity façade and crypt of La Sagrada Família, Casa Batlló and the Crypt (church) in Colonia Güell. Visiting attractions in Barcelona can be expensive but there are a few ways you can save money. First most of the exteriors of Gaudí’s most famous buildings can be seen for free (e.g., Sagrada Família, Casa Calvet, Casa Milà, Casa Batlló) and a few of Gaudí’s other works can be visited for free (e.g., fountain & pergola at Güell Estate, lampposts, mosaic in Church of Sant Pacià). So even if you are on a frugal budget in Barcelona, you can still enjoy some of Gaudí’s work for free. 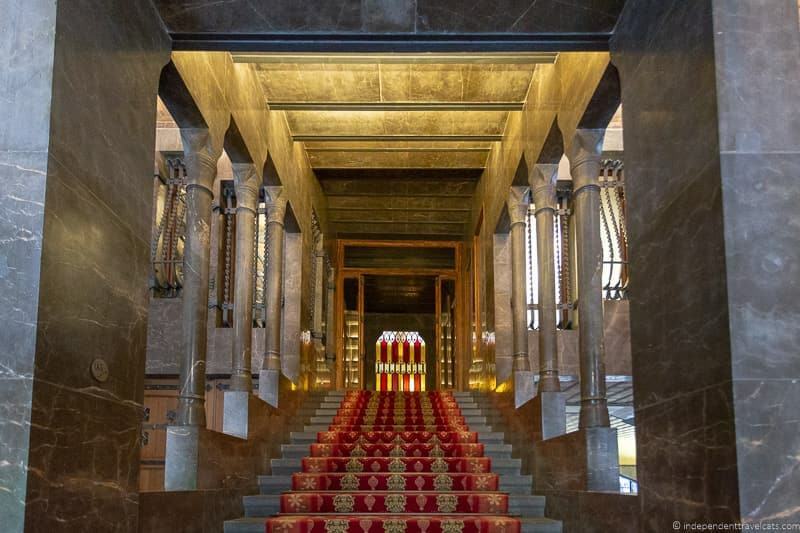 Also note that many of the websites for the attractions, including Sagrada Família, offer “virtual visits” where you can see interactive video, video, and/or photos of the attraction interiors from home. These make Gaudí’s works accessible to just about anyone! 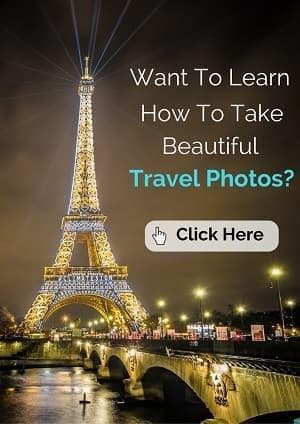 For those who want to save money but also want to visit some of the interiors, I would recommend checking out the various passes on offer for Barcelona, most notably the Barcelona Pass and the Barcelona Card. These passes can help you get free or discounted entry to some of Gaudí’s sites and help you save on many other attractions and transportation in the city. You can see our Barcelona pass comparison post for more information. Also you can sometimes save a little money (and time) by booking tickets in advance online for a few of the sites. You can also check for combination ticket savings (for instance you can currently save a little if you buy the Sagrada Família and Gaudí House Museum tickets together online). 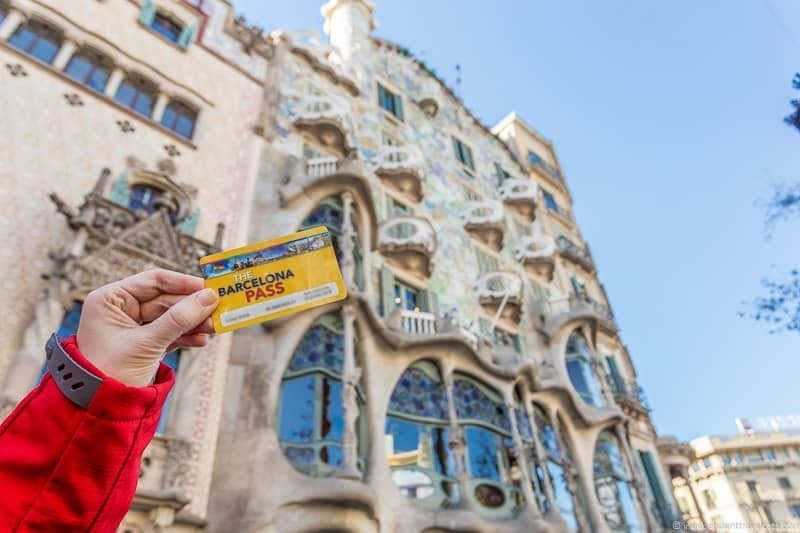 Yes, many of the sites and attractions that charge an admission fee are covered by some of the Barcelona passes. Some include free entry and some offer discounted entry. 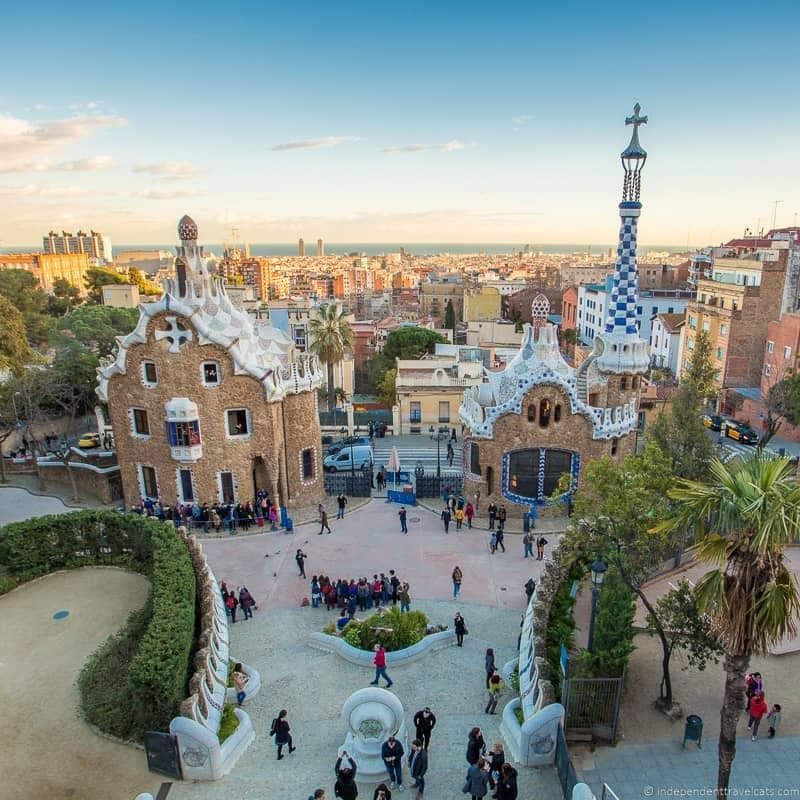 Barcelona Pass – This pass includes free entry to 7 Gaudí attractions: Casa Vicens, Casa Milà, Casa Batlló, Colonia Güell, Museu del Modernisme de Barcelona, Gaudí Experience 4D, and Gaudí Exhibition Center. Barcelona Card – This card offers discounts to 7 Gaudí related attractions: Casa Vicens, Casa Milà, Casa Batlló, Palau Güell, Colonia Güell, Gaudí Experience 4D, and Gaudí Exhibition Center, plus free entry to the Museu del Modernisme de Barcelona and Museu Nacional d’Art de Catalunya. Articket Barcelona Museum Pass (a.k.a, Barcelona Art Passport) – This covers only art museums and none of Gaudí’s buildings, but does include the Museu Nacional d’Art de Catalunya. Gaudí Bundle – Includes timed entrance into both the Sagrada Familia and Park Güell, and downloadable audiogudes (available in several languages) to both attractions that you can listen to on your phone (bring earphones) to guide your visits. Tickets are delivered electronically by email. You can also get a Gaudí Bundle and Barcelona Card combo ticket here. 3 House combo ticket – Como ticket includes timed entry to 3 of Gaudí’s most popular houses: Casa Batlló, Casa Milà, and Casa Vicens. Ticket currently (as of March 2019) saves you a total of 4 euros off online admission prices versus purchasing them separately online, so a ticket to consider if you plan to visit all three and are not purchasing one of the other passes. Modernista Pass – This pass includes free entry to Casa Vicens. Although it only includes one Gaudí building, it includes a number of both well-known and more obscure Modernisme buildings in Barcelona. We’ve tried to note at the beginning of each Gaudí site description below which ones are covered by which pass, but I would definitely check the pass website for the latest updates. Most visitors only visit a few of Gaudí’s sites in Barcelona, so the order in which you visit the sites is probably not very important although I would consider leaving Sagrada Família for the final visit if possible. This is not only Gaudí’s grandest work and masterpiece, but his final one and the one to which he was deeply devoted. Also I would recommend visiting any exhibition and museum sites sooner rather than later in your trip as they can help you better understand the architecture you are going to see and know more about Gaudí as a person. 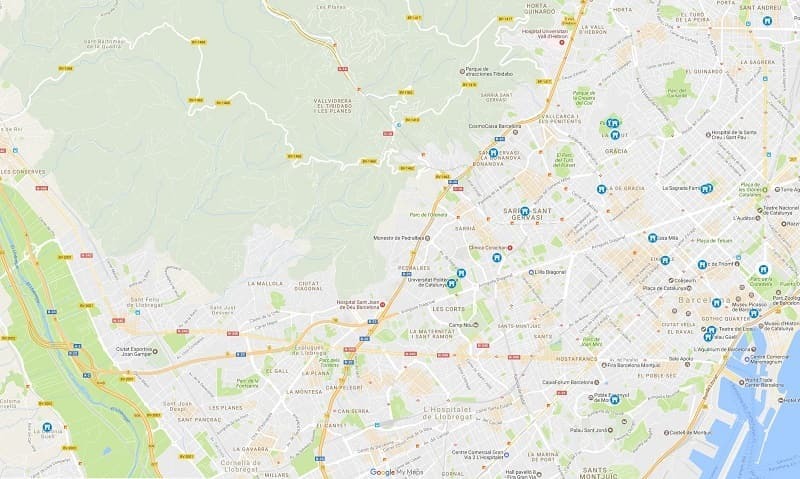 For those planning to visit many of Gaudí’s works, I’d suggest either visiting them by geographical location as they are spread out throughout Barcelona (so group them together by neighborhood, see map below) or in chronological order to see how Gaudí’s work changed and progressed over time (see order of list of sites below). Many of the Gaudí sites are popular, busy, and can get very crowded, especially in the summer and around holidays and festivals. If Barcelona is busy, you can be sure that most of the Gaudí sites are also busy. I would advise booking tickets ahead for both Park Güell and Sagrada Familia no matter what time of year to ensure you get in, and consider buying tickets ahead for some of the other sites during the summer. 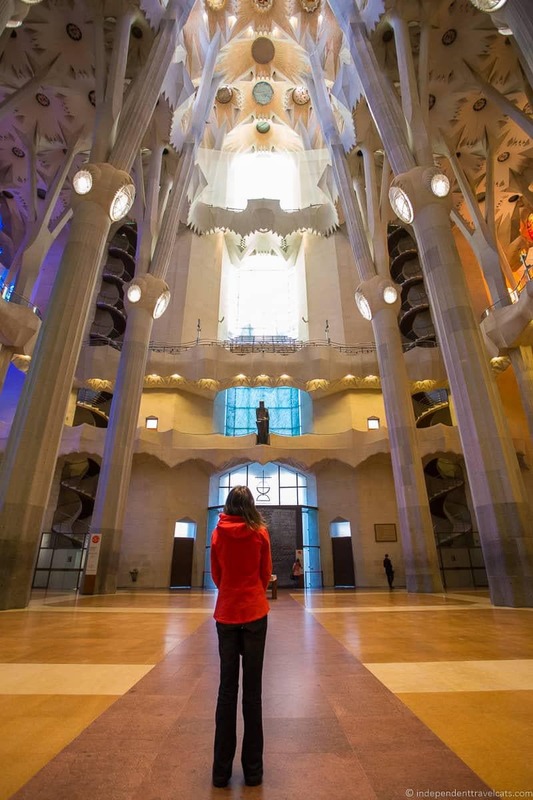 If tickets are sold out online for when you plan to visit, consider booking a Gaudí walking tour such as this one that includes entry into both Park Güell and Sagrada Familia. If you can, I’d visit Barcelona in the winter months (except around holidays and festivals) for the best experience as we visited in January and visitor numbers were low. The only drawbacks to visiting in the winter are reduced opening times and poorer weather. For the best weather, Spring and Autumn are also good (although I’d avoid Spring Break). I would avoid summer (especially July and August) if you can or come prepared for crowds, higher prices, and hot weather. For the best experience, I would try to plan your visits to Gaudí attractions for the least busy times of day to avoid long lines and crowded interiors. For the busiest sites, I would recommend visiting in the morning around opening time, especially for Sagrada Família, Casa Milà, Casa Batlló, and Park Güell. Booking tickets in advance can help ensure you get a desired entry time and I’d strongly recommend scheduling timed tickets in advance for both Sagrada Família and Park Güell as tickets can sell out in advance. If morning is not possible, try visiting later in the afternoon around closing time (note that most attractions stop allowing entrance 1 hour before closing). Note that some sites are implementing creative ways to try to allow for more visitors to visit without huge crowds, such as special early opening times, extended night hours, night tours, and special events. For the free public sites, you can visit these at any time of the day as even if there are crowds they tend to move along quickly. visiting early has its perks! There are lots of walking tours in Barcelona focused on Modernisme and the works of Antoni Gaudí. Options vary from 2 hour walking tours to full day tours. There are also day tour options to those wanting a guided visit to Colònia Güell to see Gaudí’s crypt outside of Barcelona. 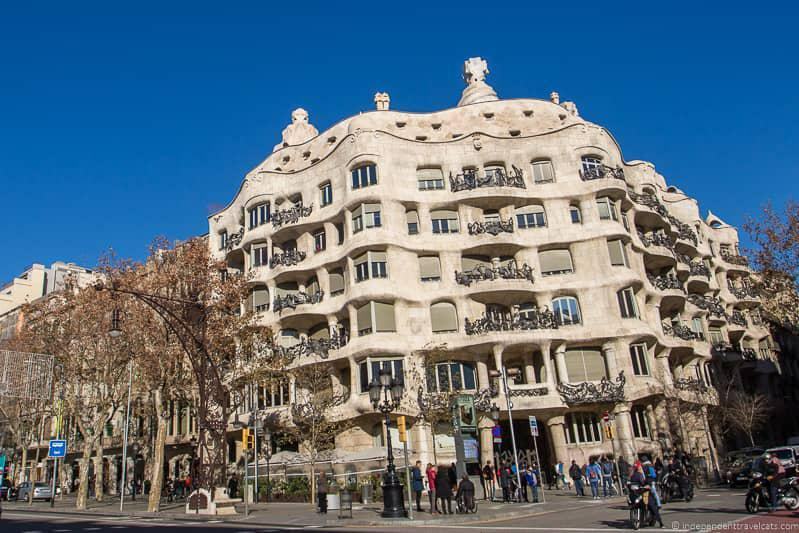 This good value 2 hour walking tour provides a solid overview to Modernisme and Antoni Gaudí with an expert guide as you explore lots of examples of Modernisme. The tour includes views of the exteriors of several of Gaudí’s buildings but no visits. It also comes with a number of discounts to museums and attractions. Tour currently 10% off if booked here via the Barcelona Tourism website. 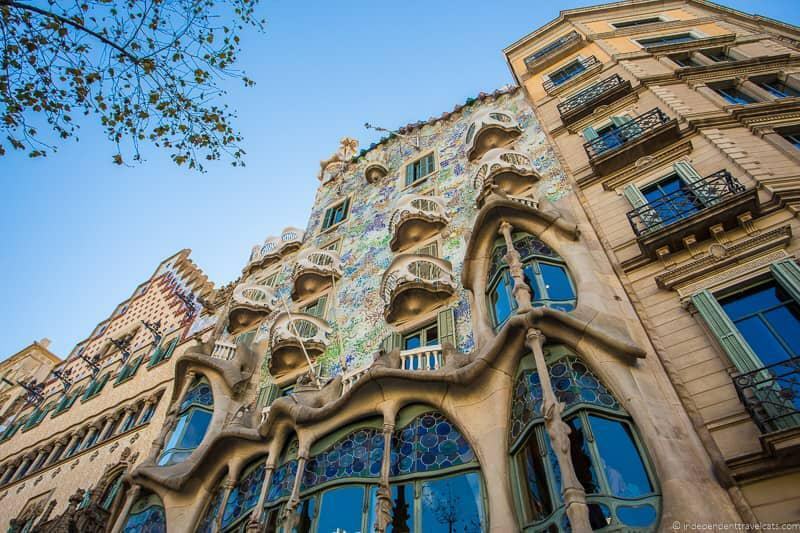 This 5.5 hour guided walking tour includes visits to Casa Batlló, Sagrada Família (including a tower visit), and Park Güell as well as visits to see the exteriors of Casa Milà, and Casa Vicens. We recommend this tour if you want to try to see as much as possible in several hours in Barcelona. This 4 hour small group tour includes guided visits to both Park Güell and Sagrada Família. 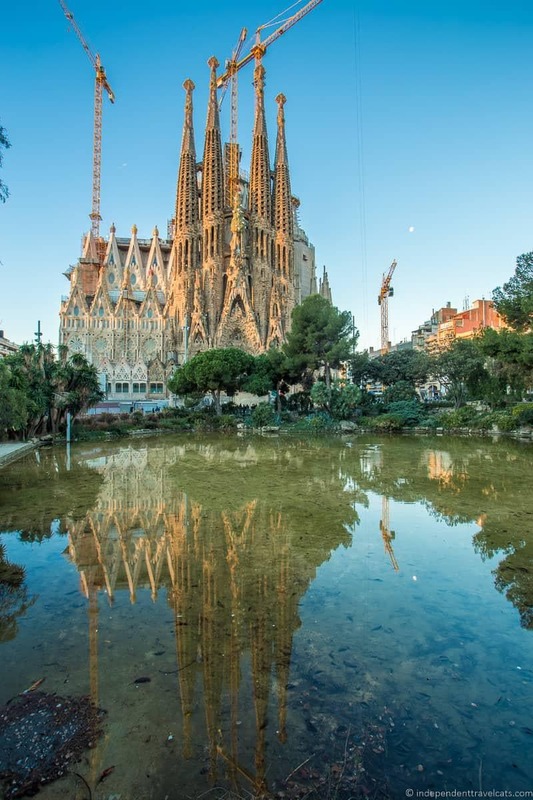 This full day tour includes sightseeing of the highlights of Barcelona plus visits to three of Gaudí’s buildings: Sagrada Família, Park Güell, and Casa Milà. This small group tour uniquely visits Sagrada Família and Torre Bellesguard, with an included brunch at Torre Bellesguard. 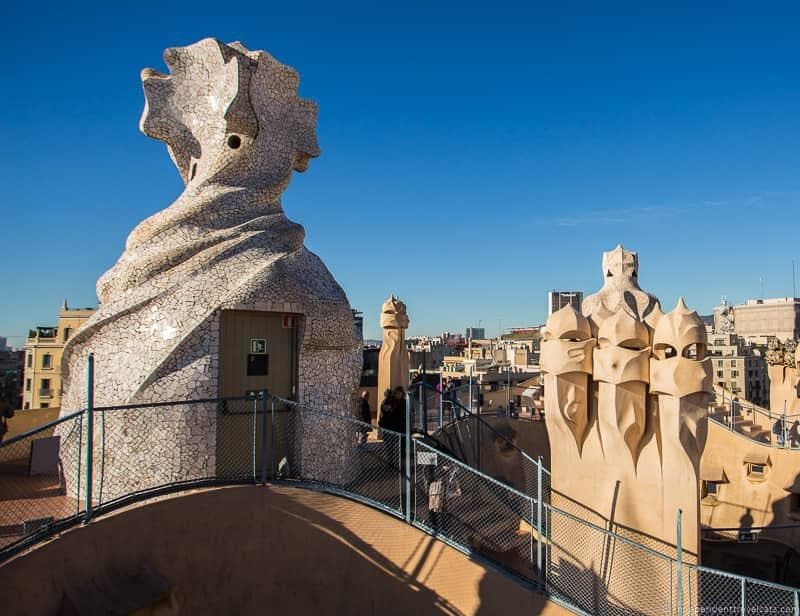 This full day private tour includes visits inside Sagrada Família, Park Güell, and Casa Milà, as well as exterior visits to Casa Batlló, Casa Mila and Casa Calvet. Recommended for those who want to learn a lot about Gaudí and see several of his buildings in one day with a private guide. Traveling with children? 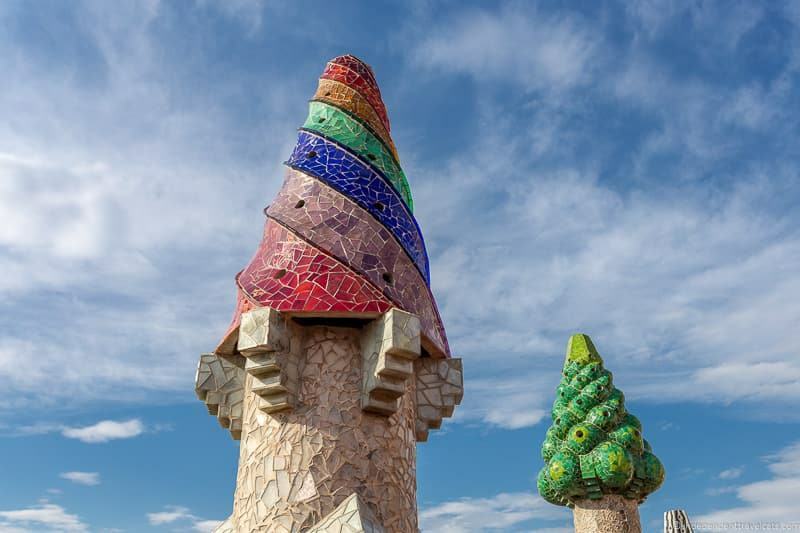 This family focused tour includes a slower paced and more interactive introduction to Gaudí and guided visits to both Park Güell and Casa Milà. 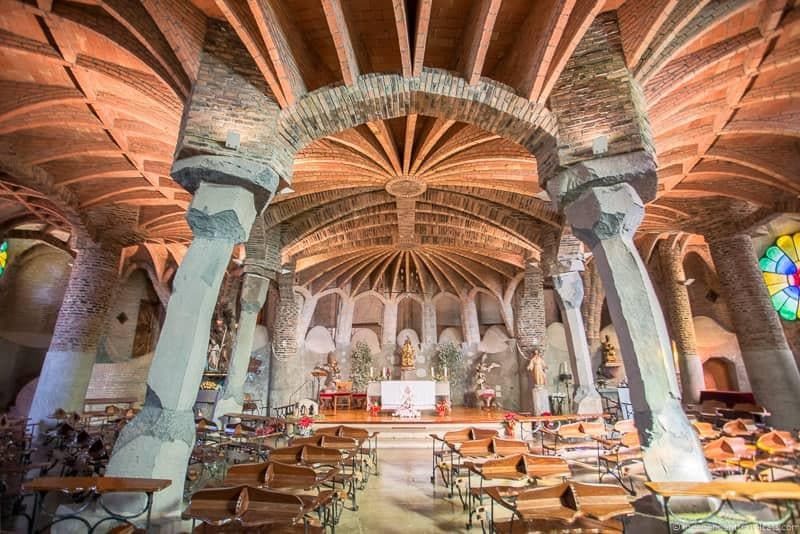 Looking for a day tour to Colònia Güell to see Gaudí’s crypt? This popular tour visits Colònia Güell and Montserrat, whereas this private tour visits some of the lesser known Gaudí attractions including Colònia Güell, Torre Bellesguard, and Gaudí Experiència. The Gaudi sties are spread out around the various neighborhoods of Barcelona and its outskirts. But the most popular and the majority of the attractions are located in central Barcelona or a short bus ride away. For lodging, Barcelona has loads of lodging options that will suit any travel style and budget, including hotels, B&Bs, apartments, and hostels. We like to stay in the central area of Barcelona to maximize our sightseeing so generally stay in the neighborhoods of La Rambla, El Raval, Barrio Gotico (Gothic Quarter), or Eixample. On one recent visits to Barcelona we stayed at this Leonardo Hotel which offered a good value and an excellent location near Las Ramblas. On our last visit we stayed at Hotel Barcelona Cathedral which is very well located right next to the Cathedral in the Gothic Quarter. 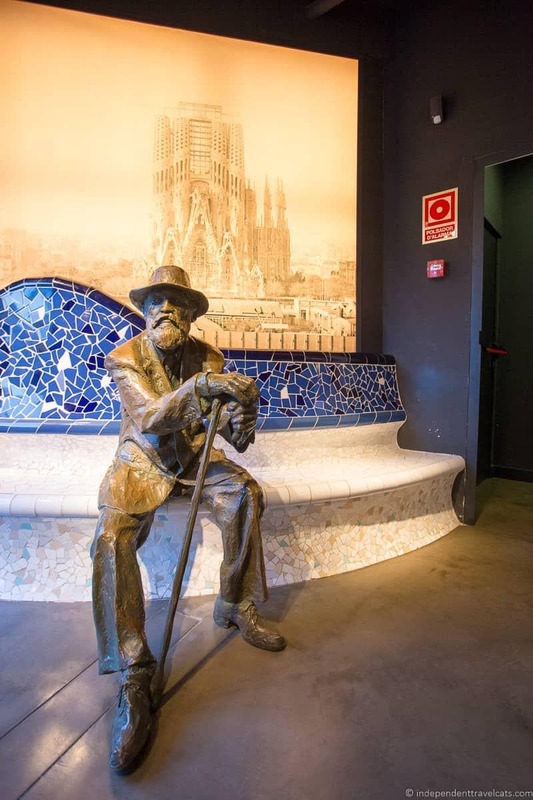 There are links below to find out more about the individual Antoni Gaudí sites in Barcelona, but you’ll want to do more in Barcelona than just visit Gaudí sites. Check out our other Barcelona articles which include a 3-day Itinerary in Barcelona, a 1-day Barcelona itinerary, a Barcelona Pass review, as well as how to find the best photography spots in Barcelona. You can also check out the official tourism website for which lots of good information for planning your trip and upcoming events. Below is a list of over 20 Gaudí sites in Barcelona with information about each place, how to find it, whether the attraction has an entry fee or not, and tips on visiting. Most are buildings or constructions by Gaudí while a few are museums about his life or architecture. Also we should note that we’ve included Colònia Güell and Nau Gaudí which are both located in towns just outside Barcelona but easy to reach from central Barcelona. For those who are traveling beyond Barcelona, you can also find several other Gaudí buildings elsewhere in Spain. The following are listed roughly in the order that Gaudí worked on them (he worked on many projects simultaneously throughout this life), followed by the museums and exhibitions related to Gaudí and his work. In 1878, Gaudí was asked by the Barcelona City Council to present designs for a lamp post to provide gas street lighting. This was Gaudí’s first commission since graduation and he submitted two sets of designs, one for a lamp post with 6 arms and one for a lamp post with three arms. 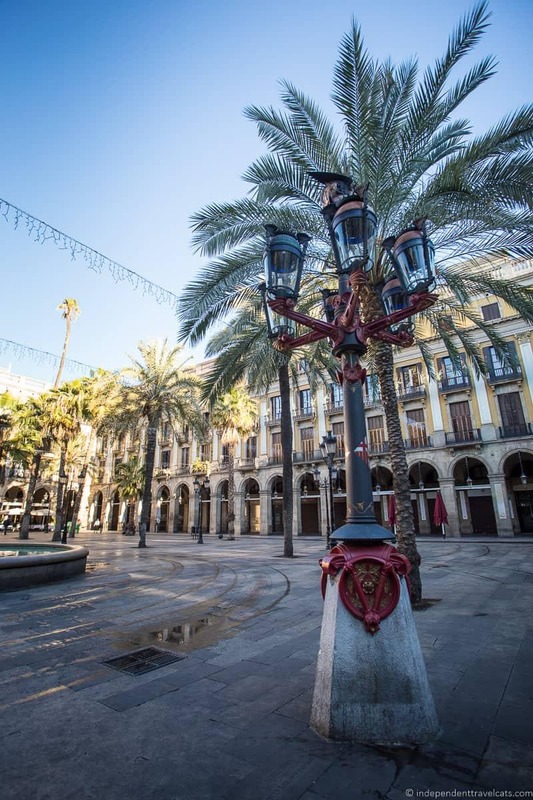 The City Council erected only two of the 6-armed design lamp posts in Plaça Reial. However, 11 years later, they erected four more of his lamp posts, all the three-armed designs, two in Pla de Palau and a two in Passeig Nacional (later removed). The lamp posts have a marble base and cast iron structure with golden, red and blue colors. The lamp posts are decorated with iron snakes, inverted crowns, the shield of Barcelona, and symbols of the god Mercury and commerce. It is interesting that although the Barcelona City Council was one of his first patrons, they would ironically fight with Gaudí throughout his life about the designs of his buildings and his relaxed approach to city codes. Iglésia de Sant Pacià, or the Church of Sant Pacià, is a neo-Gothic Catholic church built by architect Joan Torras i Guardiola between 1876 and 1881. 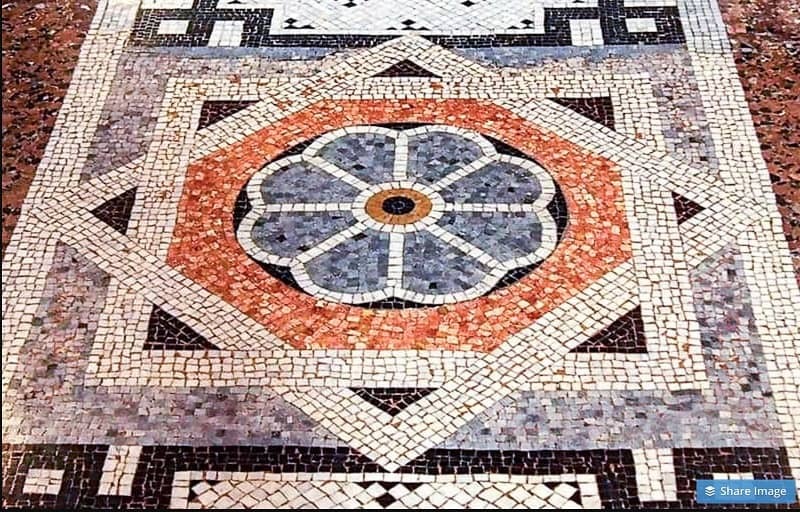 Antoni Gaudí, a student of Torras, was responsible for some of the interior decoration from 1879-1880, most notably the geometric design of the marble mosaic floor. He also assisted with a number of other elements inside the church such as the side chapels, high altar, lighting, and the choir. This church is not centrally located and gets few visitors so is a great place for those looking for a peaceful place to admire a beautiful mosaic floor designed by a young Gaudí. However, note that the main part of the church which contains the mosaics is often not open (only a side chapel for prayer), so I would arrange a visit in advance or plan to attend a scheduled church service. In 1881, a two-tiered cascade and triumphal arch were built in the Parc de la Ciutadella, once Barcelona’s only large green space. Later from 1882 to 1888, a number of additions were made including a fountain and a number of sculptures. The primary architect was Josep Fontsére but Gaudí, then unknown, is believed to have also worked on the project although the extent of his involvement is unknown. The fountain has some similarities with the Trevi Fountain in Rome. The park is worth visiting on its own as there are a number of other fountains and sculptures, a small lake, museums, and a zoo located here. Outside of Barcelona, Gaudí worked on his first industrial architectural project. He was asked by Salvador Pagès, whom he knew, to help build a textile manufacturing complex of the Mataró Workers Cooperative. He was to integrate existing structures and plan new ones, including the industrial buildings, homes for the families, and community buildings such as a school and a library. Gaudí began working on the project in1878 and worked closely with architect Emili Cabanyes. The construction began in 1883. In the end, only a few buildings designed by the architect were actually built. The only remaining buildings of the complex today are a former cotton bleaching shed and latrines. 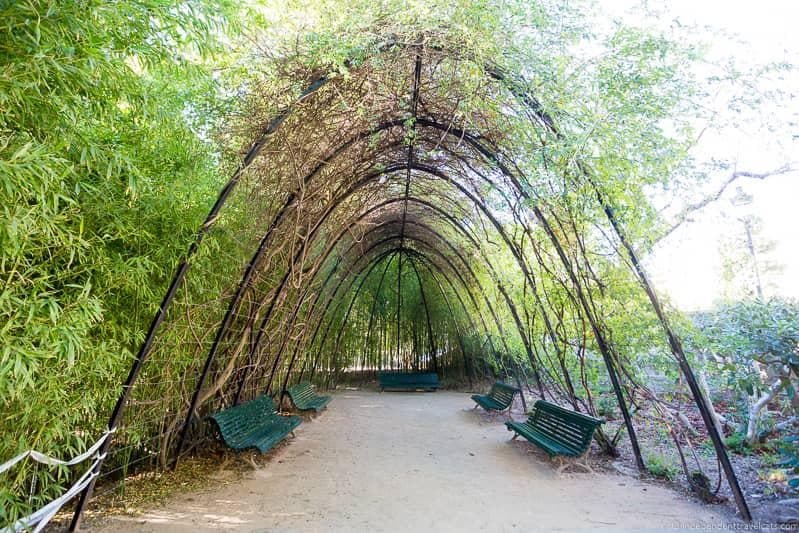 The cotton bleaching shed is interesting to see on the inside and notable for its wooden parabolic arches, a feature which Gaudí would continue to use throughout this career. The latrines are set in a small cyclinder pavillion separated for men and women. The most interesting feature here is the ceramic tile decoration. The cotton bleaching shed is now a contemporary art museum, the Mataró Contemporary Art Museum Consortium. The museum contains some information on the history and architecture of the building. It is free to visit and once a month you can take a guided tour of the building. Note that Nau Gaudí is located outside of Barcelona. It is about a 35 minute drive or a 45 minute bus ride or train ride to Mataró from Barcelona. Gaudí was commissioned by Eusebi Güell in 1884 to help him extend his family holiday home and estate. Güell respected Gaudí’s work and would become Gaudí’s most significant patron. Part of the commission included the building of two fountains and a pergola in the estate gardens. One of the fountains remains, the Font d’Hercules de la Finca Güell (Fountain of Hercules; 1884-1885), which is a small gurgling fountain that has a bust of Hercules above a basin with the Catalonia coat of arms. The small water spout is shaped like a dragon. 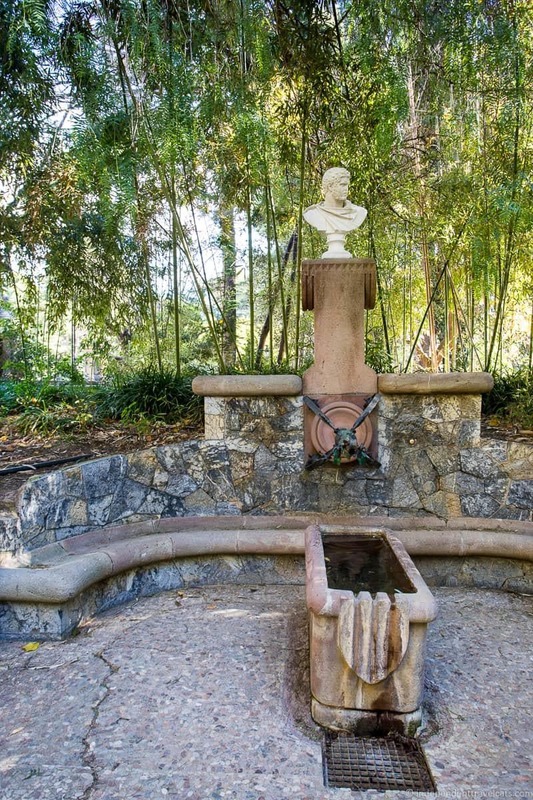 The fountain fell into disrepair and was covered by dense vegetation but was rediscovered and restored in 1983. Nearby you can also see a pergola designed by Gaudí at the same time. Gaudí also helped in building a number of estate pavilions and entrance gates (discussed further below), the original perimeter walls, the design and planting of the gardens, and assisted in remodeling the home of Eusebi Güell. This house was later significantly remodeled and expanded to become Palau Reial de Pedralbes after Güell gifted it to the royal family. This private house turned royal palace is currently home to offices and until recently housed ceramics and decorative arts museums (I believe the museums are currently closed and the collections have been moved to the Museu del Disseny de Barcelona). As noted above, Eusebi Güell’s first project for Gaudí was renovating and extending his family’s holiday estate which the architect worked on from 1884 to 1887. One of the major parts of that work was designing estate buildings, gatehouses, and gates. These buildings are currently owned by the University of Barcelona but have recently been restored and opened to the public. You can see the stables, longeing ring (horse training/exercise area), gatekeepers lodge, and small guardhouses.You’ll find bright ceramic decorations and a number of plant and nature motifs in Gaudí’s work here. 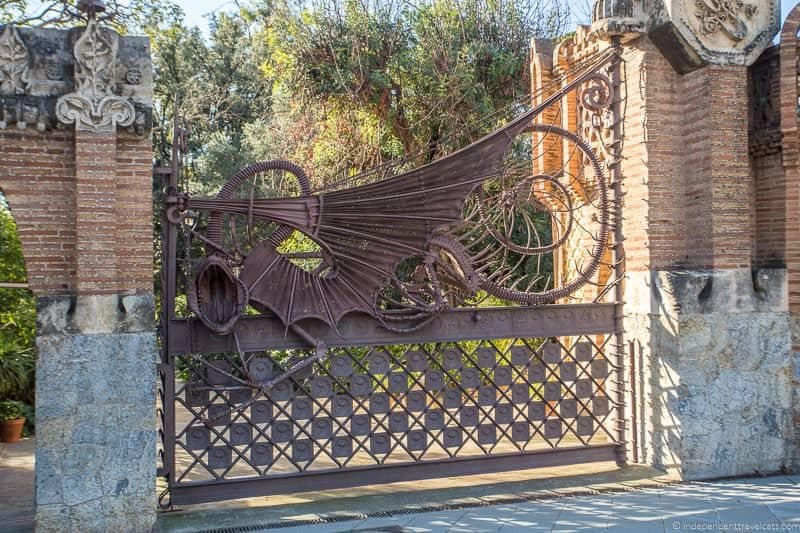 The main gate is also located at the entrance of the Pavellons de la Finca Guell and in its center there is an amazing wrought iron dragon figure with a forked tongue and bat-like wings, which represents the mythical dragon from the Garden of the Hesperides. The other three entrances to the estate were later no longer needed, but you can still find Gaudí’s other lesser known entrance gates elsewhere in and around the university (some original, some replicas). 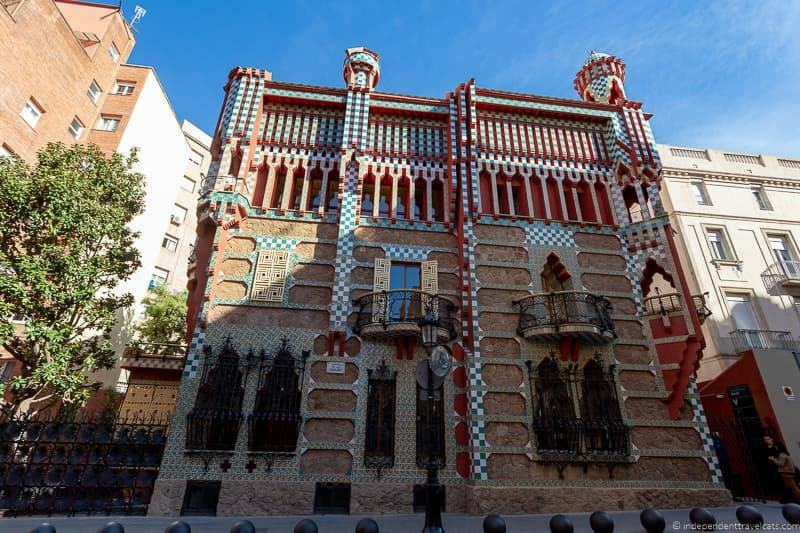 Casa Vicens was a private home commissioned by Manuel Vicens, the owner of a brick and tile factory. Gaudí worked on the house from 1883 to 1888. This was very early in Gaudí’s career and one of the first places where he started to develop and exhibit his own unique style. The house includes the juxtaposition of geometric masses, the use of ceramic tiles, a horseshoe-shaped staircase, nature motifs, iron balconies, and abstract brick ornamentation. 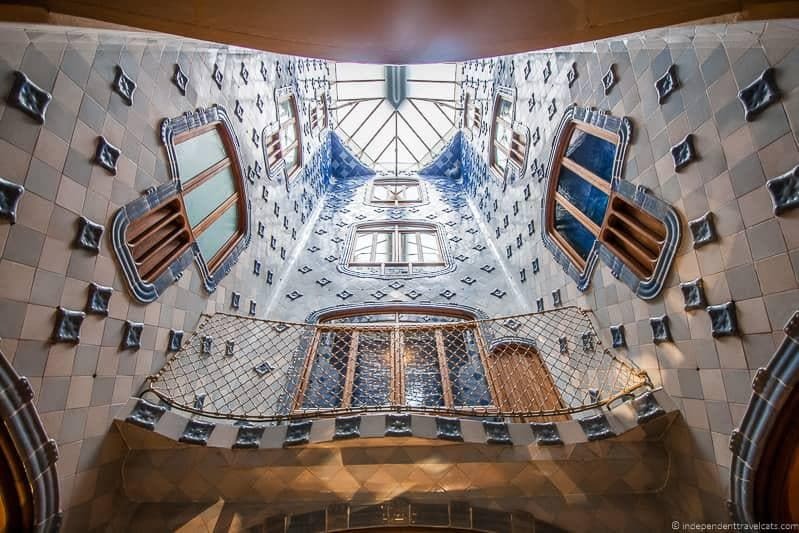 The building was a private residence since the time of Gaudí until 2014; however, it recently has been restored, refurbished, and opened to the public. It first opened to the public for tours in November 2017. 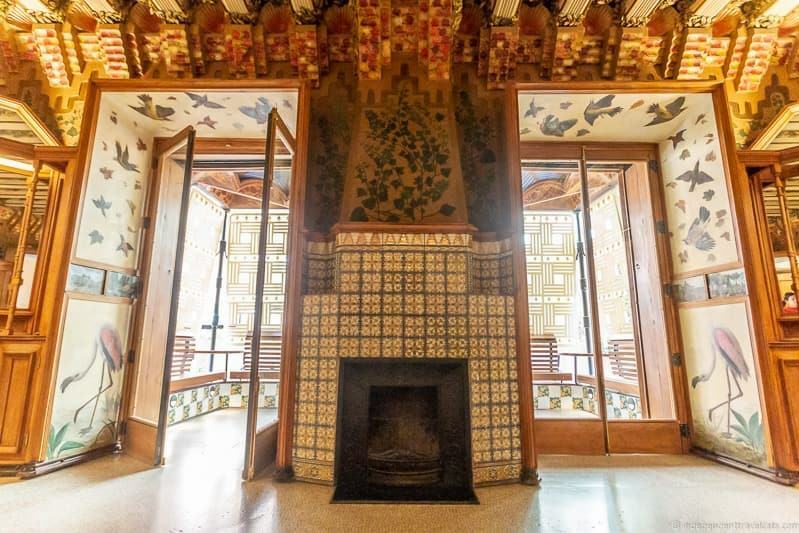 It is fast becoming a popular Gaudí attraction in Barcelona as very few people have ever seen the interiors of this UNESCO World Heritage Site designated house. If you’ve been to Barcelona before, this might be a new Gaudí attraction to add to your itinerary for your next visit. We really enjoyed our recent visit of the house. Teresians’ Convent and School, or Col·legi de les Teresianes, is a convent school building built for the Order of Saint Teresa of Jesus nuns. It was started in 1887 by another architect who laid the foundation and designed the floor plan. Gaudí took over the project and he made some alterations to the plans and worked on it from 1888-1889. The building is quite austere and dark compared to many of Gaudí’s other buildings, but it still has several of his own personal flourishes such as parabolic arches, exposed brick pillars, four-armed crosses, and religious symbology. The building has been an active school since it opened and is not open to the public, but you can partially view it from the outside from beyond the railings. 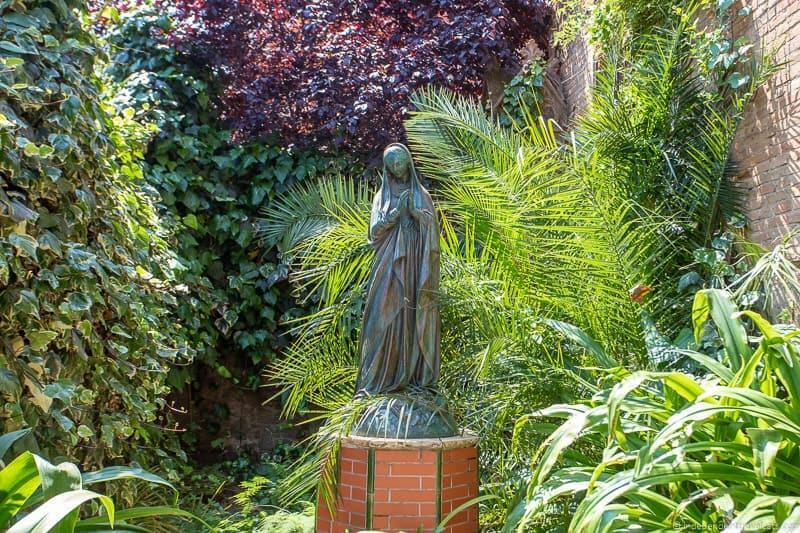 If you are very keen to see it, you can contact the school directly and occasionally with prior permission the school may grant a short tour for visitors to the school when it is not in use. However, I’d recommend just taking a look from the outside and watching the virtual tour video on the school website. Palau Güell was a large private home built by Antoni Gaudí from 1885 to 1890. It was another commission by patron and wealthy industrialist Eusebi Güell who wanted a mansion that he could also use to entertain guests. The centerpiece of the house is a large central room on the main floor that was used for entertaining, religious ceremonies, and parties. This room is crowned by a parabolic dome, which lights the whole space through a series of small openings (mimics starlight) and a large central oculus. Visitors can also tour horse stables, the coach house, the dining room, musicians’ room, offices, and bedrooms. Once on the roof, you also get to see twenty beautiful mosaic chimney pots. Audioguides are included with visits and recommended. Palau Güell is one of the seven sites designated by UNESCO as a World Heritage Site as part of the “Works of Antoni Gaudí”. It is conveniently located for visitors just off La Rambla in the La Raval area of Barcelona. It is less visited than some of his other major works such as Casa Batlló and La Sagrada Família, but can still be busy so I would try to visit in the morning for the best experience. 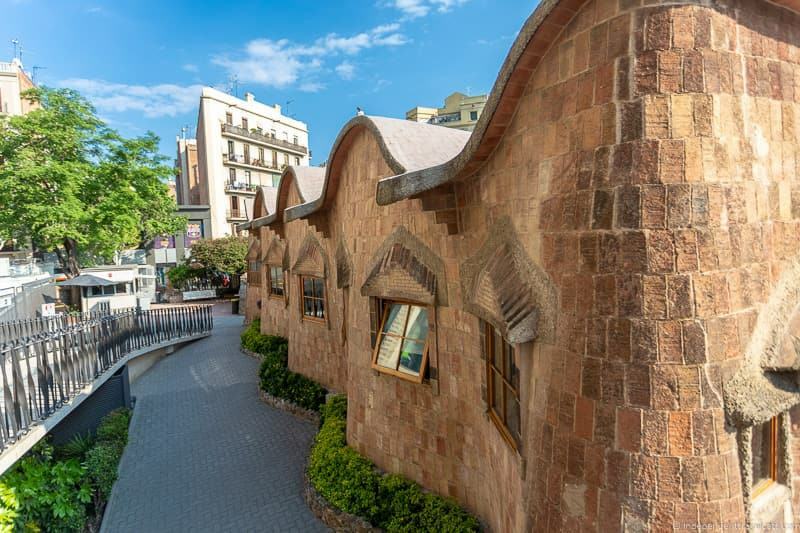 Casa Calvet is one of Gaudí’s lesser known works and visitors walking by are not likely to stop and take a look as they might when passing the unusual and flamboyant Casa Batlló. Casa Calvet is a building designed for textile manufacturer Pere Màrtir and it served as both his home and business. Gaudí worked on the building between 1898 and 1899. The house is quite symmetrical and orderly for a work by Gaudí which is believed to be partly due to having to fit in between two existing building and partially because it was for an affluent neighborhood. The building is much less striking than most of Gaudí’s other homes, but it does have some interesting personal features such as the curves and double gable at the top, projecting oriel at the entrance, iron crosses, and bulging different sized wrought iron balconies. You can also find little details that relate to the owner such as the columns in the shape of cotton bobbins that flank the entrance. Although not that popular today among most Gaudí fans, in 1900, Barcelona City Council awarded it the prize for the best building of the year. Today, most of Casa Calvet is used for private housing and offices and is not open to the public. However, the exterior can still be seen from the street. Until recently the ground floor of Casa Calvet, that has many interesting interior features designed by Gaudí, was open to diners of the Restaurant Casa Calvet. However, we this restaurant closed in 2018 and we do not know if another restaurant will take its place or not in the future. There is a chocolatier based in part of this space now, called Chocolates Brescó. There is a gate (often referred to as Portal Miralles) and wall that was built by Antoni Gaudí in 1901-1902 to the entrance of the former Miralles Estate, home of industrialist Hermenegild Miralles. The house is long gone but the entrance gate and a small amount of the rubblework wall still exist leading to a quiet pedestrian street. The gate has a great lobular arch and was designed for the entrance of horse-drawn carriages, and further down there is also a small pedestrian entrance to the right (normally gated). On top of the entrance gate is an iron cross, which you’ll also find in some of Gaudí’s other works. The wall fragment and gate have been restored and reinforced over the years, so some parts are not original. 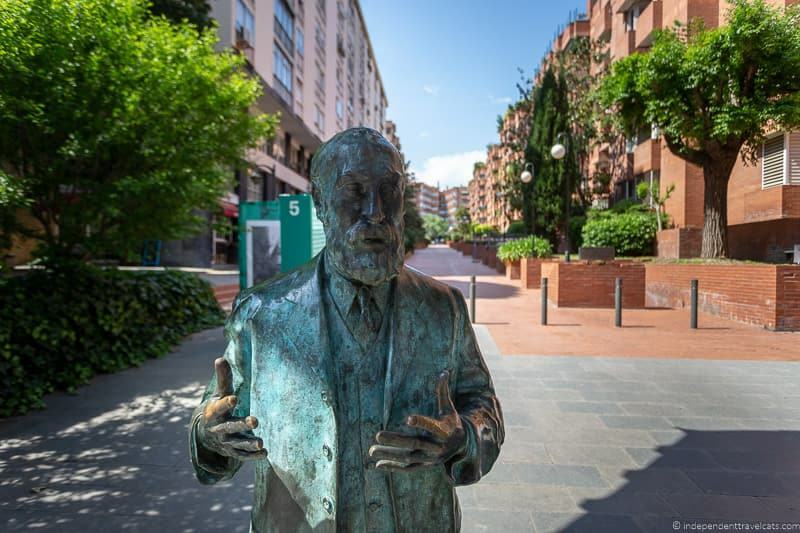 A bonus is that you’ll also find a bronze statue of Antoni Gaudí here by sculptor Joaquim Camps. Gaudí worked on building the Bellesguard house from 1900 to 1909, taking inspiration from a 15th century medieval castle of King Martin I which once stood on the site. Torre Bellesguard, also known as Casa Figueres, is remarkable in its mosaic detailing and also that it includes elements such as the use of rectilinear forms which are unusual in Gaudí’s works. But you can also see elements that he would later use in some of his future projects such as the Sagrada Família, especially in the Hall of Bricks. One of the most interesting elements of the stone-and-brick house, at least to Laurence, is that when viewed from certain angles you can see the profile of a dragon, where the roof is the dragon’s tail, two window create its eyes, and so on. The house is privately owned and is still an active residence so only certain parts of the house are open to visitors. In the estate grounds you can also find walls, benches, and other structures that were created from the ruins of the medieval palace, although most are believed to have been made by Gaudí’s apprentices. 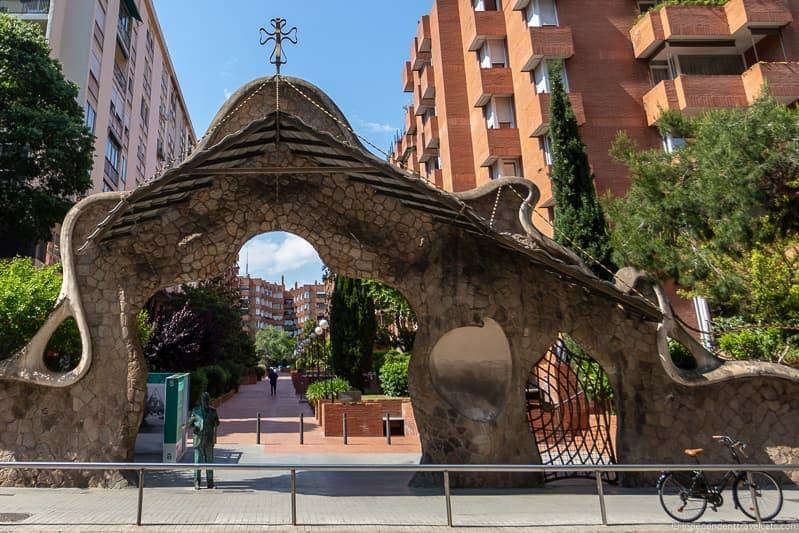 This site is much less visited than many of the other Gaudí homes, partially because it is relatively unknown (only been open to public for a few years) and partially because it is further from the city center. Casa Batlló is one of Gaudí’s most well-known, visited, and photographed works. The house was actually built in 1877 by another architect, but Gaudí did significant renovations to the house from 1904 and 1906 for then owner Josep Batlló. The house is a bit difficult to describe, with few straight lines and an organic quality about it. The exterior is decorated with mosaic, has large sandstone structures, and protruding balconies. It is also known locally as Casa dels Ossos (House of Bones) for its skeletal quality. The interior has irregular oval windows, a rib-cage like loft, vaulted curved walls, colorful mosaics, stained glass windows, and much more to examine. The roof terrace resembles the back of a dragon (there is a strong dragon motif throughout) and also has a set of four colorful chimneys. Casa Batlló is included in the UNESCO World Heritage Site designation. Casa Batlló is a bit like an architectural funhouse! 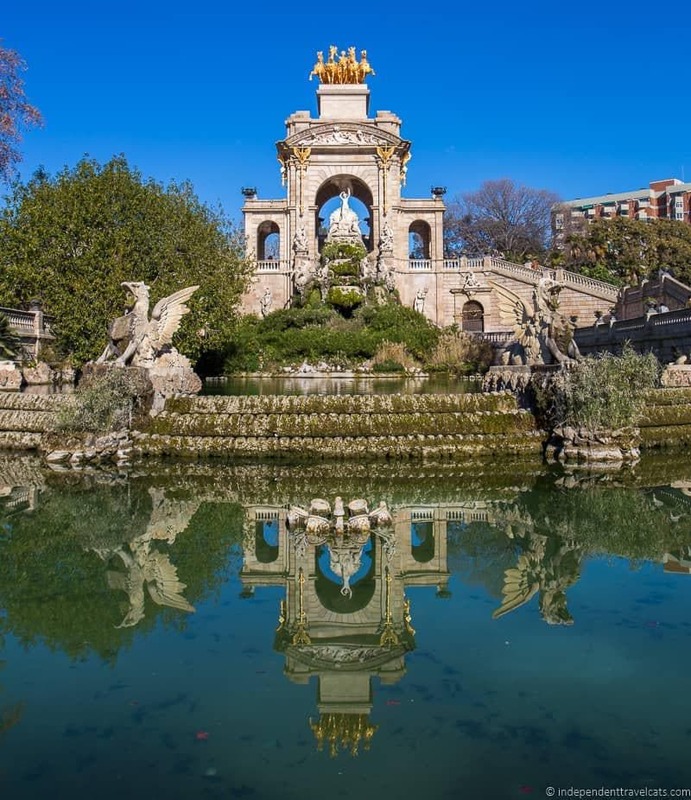 The problem is that it is one of the most popular attractions in Barcelona so come early or late to best avoid crowds as it can get very crowded inside which makes a visit less enjoyable, especially in the summer. Casa Milà, also commonly known as La Pedrera (“the stone quarry”), is another of Gaudí’s most well-known and visited works. The building (actually two buildings linked by courtyards) was intended to serve as both a private residence for industrialist Pere Milà and his wife Roser Segimon as well as an apartment building. Gaudí worked on Casa Milà from 1906 to 1912, and it was his last civil engineering work he would undertake in his career. The architectural design caused quite a stir when it was built as it was a marked departure from the typical architectural styles of the early 20th century. Gaudí combined his love for geometry and nature to create something unique and innovative; the large stone building got its nickname La Pedrera because it reminded people of an open rock quarry with is rough-hewn stone façade. The modernist building also has twisted wrought iron balconies, a self-supporting stone front, colorful murals with floral and mythological motifs, organic looking courtyards with lots of light, colorful roof chimneys, an underground garage, and an attic area made of 270 catenary brick arches. Gaudí also designed decorative elements such as door knobs, mouldings, and flooring that can be seen in the apartment open to the public. Casa Milà is one of the buildings included in the UNESCO World Heritage Site designation. Today, the large building serves as offices and a few residents continue to live here in the apartments so parts of the building are private and not open to the public. However, the courtyards, the attic, roof terrace, an apartment, and an exhibitions space are open to the public for viewing. The building gets a lot of visitors, especially in the summers, so go early or late for the best experience. An audioguide is available and included in the ticket price which helps guide your visit. Park Güell is a public park system located on Carmel Hill in Barcelona. Eusebi Güell asked Gaudí to help design a private residential development for luxury homes. Gaudí worked on the project from 1900 to 1914. The original intention by Güell was to create a large number of luxury homes here; however, after a couple of houses were built (not by Gaudí) it was determined that this was not going to be successful. One of the show houses was actually purchased by Gaudí who lived in the park from 1906 to 1925. The area officially opened to the public in 1926 and has been a public park ever since then. Terraced walls, two large gingerbread house looking pavillions, columns, a long serpentine tiled bench, and colonnaded pathways are some of the main attractions here. Probably the most famous icon at the Park Güell is the multicolored mosaic lizard known as “El Drac”, or the dragon. Note that many of the popular features (tile work on the benches) were actually made in collaboration with the much younger architect Joseph Maria Jujol. Jujol collaborated with Gaudí on several of his well-known project. Most of the park is free to visit and provides some nice views over the city; however, the section of most interest to Gaudí fans (the Monumental Zone) has a fee. Park Güell is a very popular place to visit and access to the Monumental Zone (which includes most of the popular Gaudí attractions) is regulated and ticketed to help protect the structures. I would strongly recommend booking a ticket in advance to save time and money and to ensure you are able to visit. Tickets are sometimes all booked in advance, especially in the summer and busy times in Barcelona. There is little information within the park, but if you are interested in learning more you might consider a guided tour of the park which also includes your entrance fee. If you are interested in visiting the former home of Gaudí, it is located just outside the Monumental Zone (in the free section of the park) and requires a separate ticket to visit (see later entry). Note also that getting to Park Güell requires walking up a hill from most locations so those with mobility issues may want to arrange to be dropped off at the entrance. Colònia Güell, or the Güell Colony, was founded in 1890 by Eusebi Güell who wanted to base his textile industry outside Barcelona. He wanted to form a separate community for the workers where they could work, live, worship, shop, eat, and have cultural experiences. Güell built the factory using the latest technology of the time as well as workhouses, a school, doctor’s house, civic center, church, parish house, a theatre, cooperative, and water tank. The textile factory was operational until 1973 and is now part of a peaceful village. The only part of the village that was built by Antoni Gaudí is the Church of Colònia Güell. Gaudí worked on the project from 1898 to 1914 but didn’t start the actual building until 1908. The work remains unfinished with Gaudí only completing the lower nave (often referred to as the crypt) that was part of his original ambitious plan as the project was eventually abandoned by the Güell family. Another builder would later enclose the upper nave with brick walls and a roof. 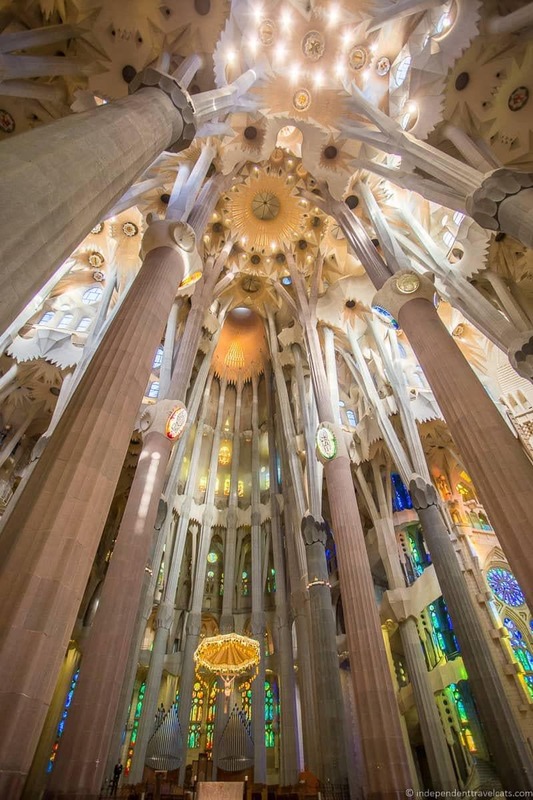 However, despite it not being a completed work, the work is very striking and combines many of Gaudí’s innovations into one single place such as the nave built without the use of buttresses or support walls, the shape of the church, the allusions to nature, the use of hyperbolic paraboloid vaults, and large hyperboloid stained glass windows. If the church had been finished it would have been a “monumental model of the Sagrada Família” as it was intended to have two naves, a lower and upper, topped by different towers and a 40 meter high central dome. This is a highly recommended place to visit, not just for the church but for the entire village. I would recommend either getting the audioguide or a guided tour to get the most of your visit here. Note that Colònia Güell is located outside of Barcelona but it makes for a great half day trip out of Barcelona. Colònia Güell is located in Santa Coloma de Cervelló and is easy to access by local FGC train, by car, or via a group bus tour, taking about 20-30 minutes to reach from central Barcelona. If you are looking for a day tour from Barcelona that includes Colònia Güell, this full day tour includes visits and transport to both Colònia Güell and Montserrat, and this private tour includes a few of Gaudí’s lesser known buildings including Colònia Güell. Sagrada Família, officially named Basílica i Temple Expiatori de la Sagrada Família or Basilica and Expiatory Church of the Holy Family, is a large Roman Catholic church and Gaudí’s magnum opus. Interestingly, the church was not Gaudí’s idea nor did he start the building. It was actually the idea of a bookseller, Josep Maria Bocabella, and the initial plans and building of the crypt were started in 1882 by architect Francisco Paula de Villar. However, Villar soon resigned and Gaudí took over the project in 1883, making radical changes to the original plans. Here in Sagrada Família, Gaudí fully devoted his time in the later years of his life, even moving into his workshop to live in 1925 until his tragic death the following year. Gaudí died in 1926, leaving the church less than 25% completed and since then it has continued to be worked on by a number of architects and builders. Construction has continued based on what information Gaudí had left behind (models, some sketches); however, given that Gaudí was constantly adapting his work as it progressed and the information left behind is not that detailed, it is probably best to think of the later work as inspired by or an interpretation of Gaudí’s work. Also a fire in 1936 during the Spanish Civil War burned down the workshop destroying many of the architect’s original plans and models. Gaudí knew he would never see the basilica completed, and one wonders what he would make of seeing it now! The main structural elements of the church are expected to be completed by 2026 (centenary of Gaudi’s death) and then the decorative elements within the following decade. One of the many reasons that construction has taken so long is that the building is solely funded by private donations, and now continues to be funded by the public, through visitor ticket sales and private donations. The building, which is a combination of Gothic, Catalan Modernism, and Art Nouveau styles, combines all of the elements that Gaudí used and experimented with in his other buildings during his life (e.g., organic and nature elements, hyperboloid and paraboloid structures, self-supporting structures, trencadis and mosaics). The Sagrada Família has a cruciform plan, with a five-aisled nave, a transept of three aisles, and an apse with seven chapels. It has three grand facades dedicated to the birth, passion and glory of Jesus, and when completed it will have eighteen towers! The work that was overseen directly by Gaudí was the completion of the crypt (started by Viller), work on the apse, the completion of the Nativity façade, the provisional school buildings (see entry below), and the first (of four) bell towers of the Nativity façade. The Nativity façade is probably the one place Gaudí had the most direct influence, and it is one of the three grand façades of the church. It is dedicated to the birth of Jesus and it is decorated with scenes reminiscent of the elements of life. Given that much of the work was completed after Gaudí’s death, only the crypt and Nativity façade are included in the UNESCO designation. The church is open to the public and visitors are encouraged to book tickets online for a timed entrance to the church. Tickets often sell out in advance in the busy summer months. The church is massive and the history, architecture, decorative details, and symbolism can be a bit overwhelming and I’d highly recommend visiting the church with an audioguide, guided tour, or a detailed guidebook to fully appreciate the church. 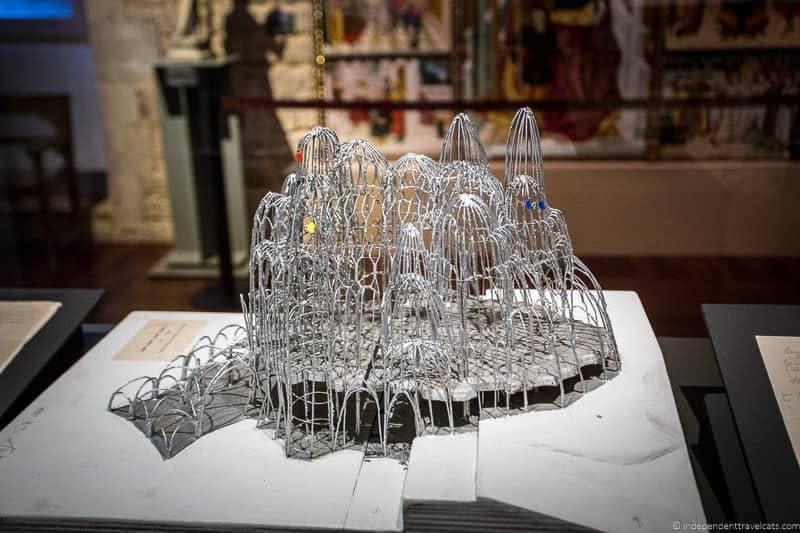 Note that outside of the main church, you’ll find a museum located underground where you can see drawing and models, original pieces, and old photographs related to the church during the time of Gaudí. You’ll find Gaudí’s tomb in the church’s crypt. There is also the school building located near the church (see next entry). If you are interested in visiting the towers, note that these require a special ticket as tower access is not included in the main tickets. You can book a tower entrance ticket along with your main ticket on the Sagrada Familia website, or you can book a guided tour that includes entrance to the church as well as access to one of the towers. The church is consecrated and active although masses are currently infrequent and require an invitation to attend. Covered by Passes? : Yes, Barcelona City Pass and Gaudi Bundle. Escoles de la Sagrada Família, or Sagrada Família Schools, is a building constructed by Gaudí in 1909 next to the Sagrada Familia in order to provide a place to educate children of those working on the church. The brick building contains three classrooms, a hall, and a chapel. Although simply and economically designed, you can still see elements of Gaudí’s design, particularly in the curved and naturalistic shape of the roofs. Gil Parés served as the first parish priest of the Sagrada Família and was the school’s principal until 1930. The school was set on fire and badly damaged during the Spanish Civil War and was significantly restored and rebuilt in the 1940s. The school is no longer operating as a school and has been dismantled and moved to make room for the ongoing construction of the church. Very little of the original building by Gaudí has survived but it was rebuilt based on the original. 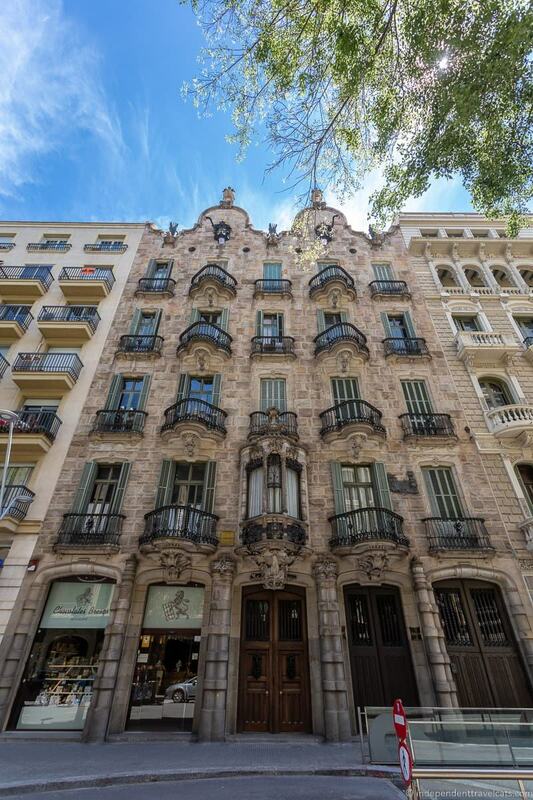 You’ll find the building on the site of the Sagrada Família at the corner of Carrer de Mallorca and Carrer de Sardenya. The exterior is always viewable and the interior is usually open to Sagrada Familia visitors (with a ticket to the church) except for special events. Not all of the Gaudí sites and attractions in Barcelona were built by Gaudí as there are also other places those with an interest in Gaudí may want to visit. 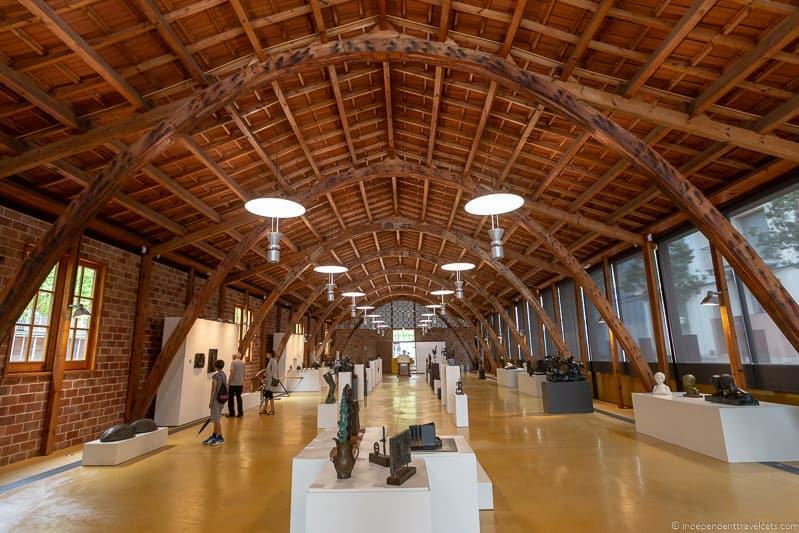 The Gaudí Exhibition Center is the first museum dedicated to the work of Antoni Gaudí, and is conveniently located in the medieval Pia Almoina building next door to Barcelona Cathedral (Cathedral of the Holy Cross and Saint Eulalia). The goal of the museum is to allow visitors to experience the items, places, and experiences that inspired Gaudí and to also see original documents and objects by the architect. 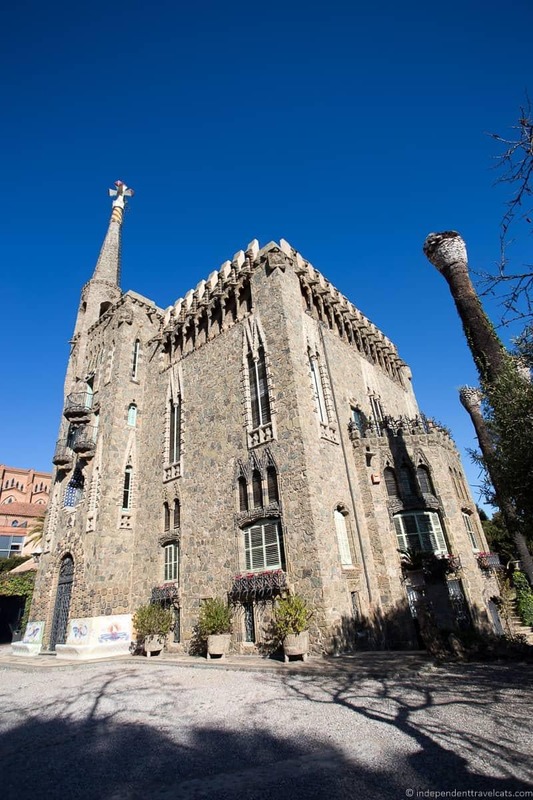 The museum also uses videos, holograms, virtual reality technology, models, temporary exhibitions, and interactive exhibits to help visitors learn about Gaudí and explore his most famous works. 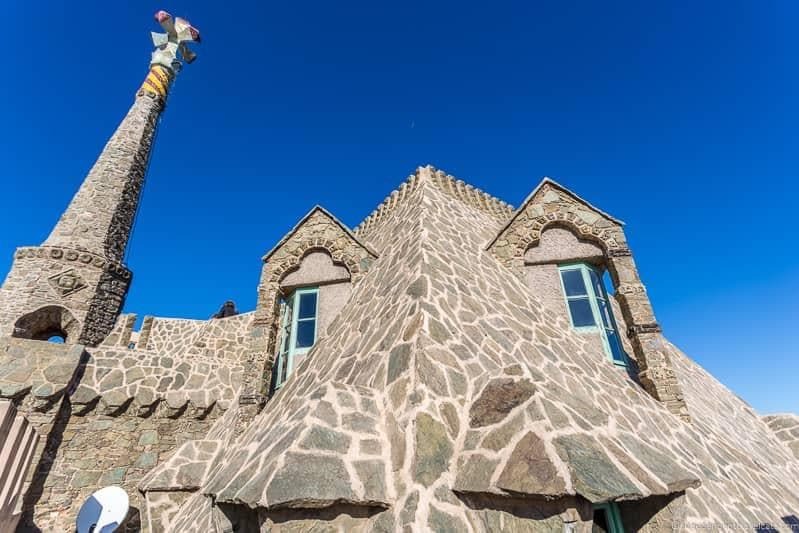 This is a particularly great stop for those interested in Gaudí as a person and learning more about the sources of his inspiration and knowledge. As mentioned earlier, a couple of show houses were designed and built within what is now Park Güell, and one of these eventually became the residence of Antoni Gaudí (the other was occupied by his friend lawyer Martí Trias i Domènech). Initially Gaudí moved here with his father and niece and after their deaths, he lived alone although Carmelite nuns often came to help carry out domestic chores. The three-storey house with pink stucco walls was designed by a friend and assistant of Gaudí, Francesc Berenguer i Mestres although it is believed that Gaudí made some additions and changes over the years. The two chimneys and towers of the house are covered in trencadís ceramic, and the house sits on a hill overlooking the city, the entrance to the park, and the Hill of Three Crosses. 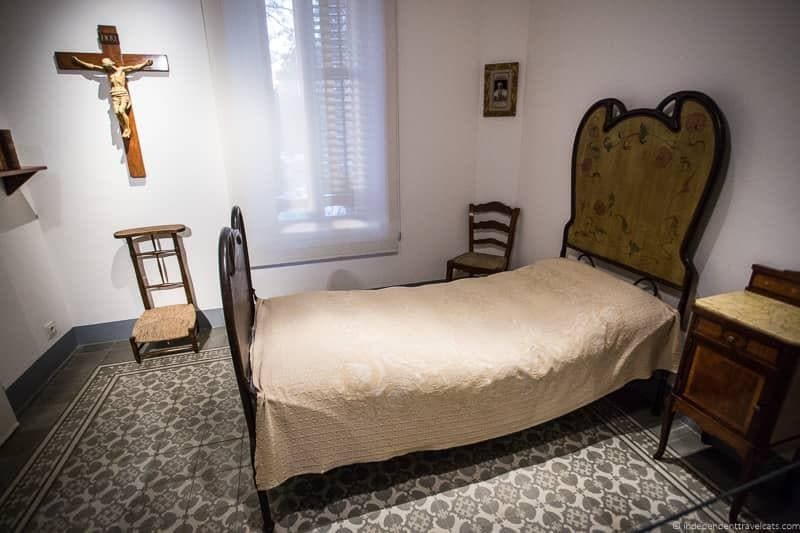 During a visit here, you can get a good understanding of Gaudí’s life and the simplicity of his life and furnishings. It includes both documents and objects related to Gaudí’s life and presents information about his day-to-day life. In this period of his life, Gaudí ate frugally, dressed in old clothing, paid little attention to his appearance, and devoted himself deeply to his career and faith. This is an easy stop if you are already planning a visit to Park Güell and receives significantly fewer visitors than the park although can still get crowded as it is a fairly small space. The Museu Nacional d’Art de Catalunya (National Museum of Art of Catalonia), abbreviated as MNAC, is the national museum of Catalan visual art in Barcelona. It houses over 1,000 years worth of Catalan art, from medieval to modern art. Although many of the art museums in Barcelona may have a piece of work by Gaudí or feature temporary exhibitions, MNAC has the largest collection (about 40 objects) with a number of pieces of furniture, stained glass, metalwork, and other objects. But not all of these objects are normally on display at one time. It is important to remember that many of Gaudí’s projects not only included the design of the building itself, but he also often designed furniture, doors, gates, windows, altars, chimneys, mouldings, etc. for his buildings. The museum of course has much more to offer and is worthy of a visit for anyone interested in Catalan art. It has a particularly amazing collection of Romanesque art, particularly religious frescos, icons, and statues from Romanesque churches located throughout Catalonia. The Museu del Modernisme de Barcelona (MMBCN) is the only museum dedicated exclusively to Catalan Art Nouveau. 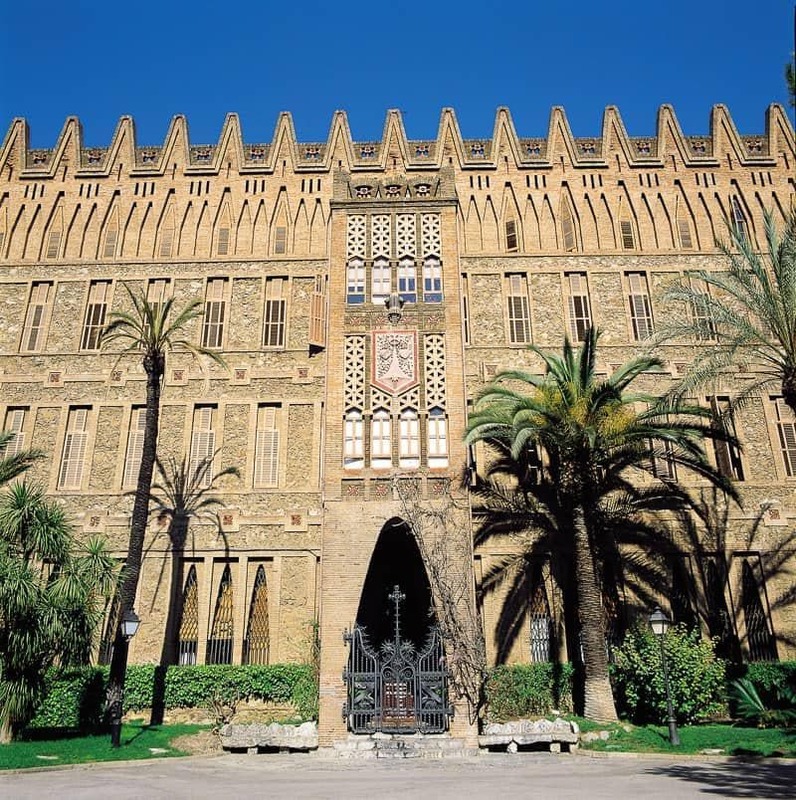 It includes a large collection of Catalan modernist artwork, including paintings, sculptures, furniture & decorative arts. The museum is a very manageable size with only 2 floors and the collection is easy to visit in an hour or two. 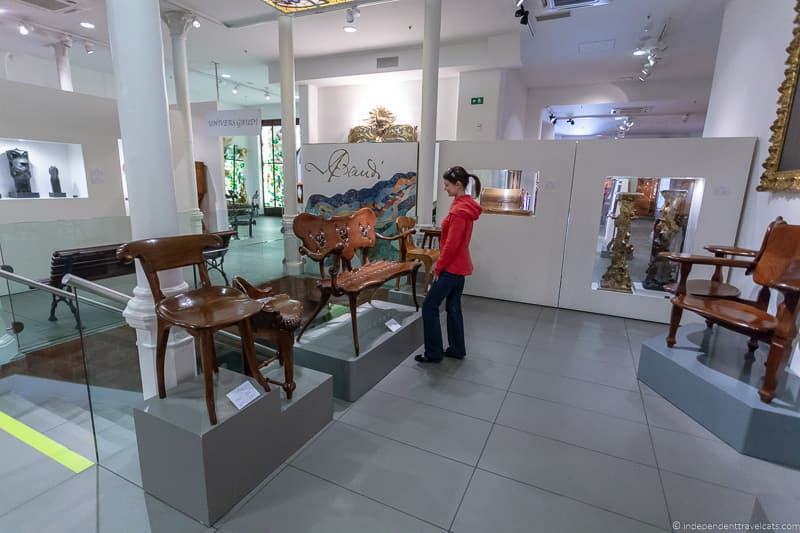 The museum has a small collection of work by Gaudí which mainly includes pieces of furniture. 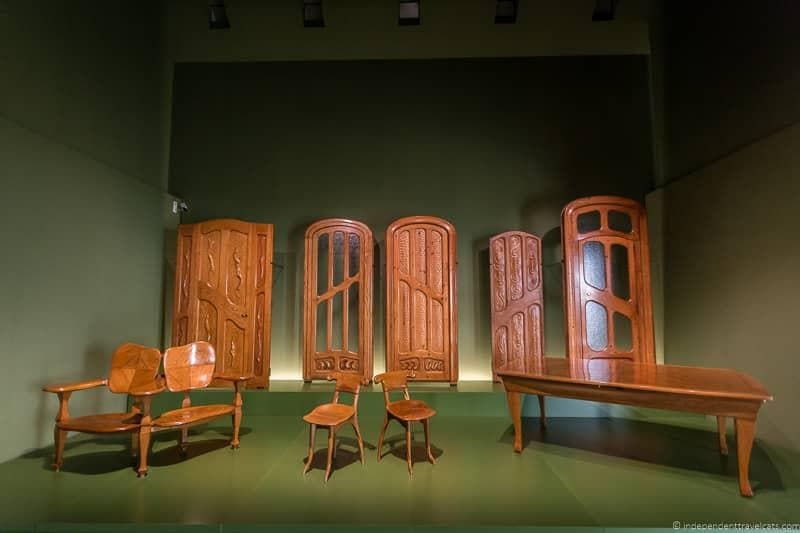 It is interesting to compare the furniture of Gaudí to other artists who were part of the Catalan modernism movement such as Joan Busquets and Gaspar Homar. The Gaudí Experiència, also somewhat confusingly known and marketed as the G Experiència and Gaudí Experience, is a relatively new place to learn more about Gaudí, his works, and modernist architecture. The attraction offers a 10-minute 4D video (special effects video with moving seats), a small interactive exhibition about Gaudí’s life, two models, and a children’s area. The attraction is well-reviewed by families and an easy place to stop and visit if you are headed to Park Güell as it is a short walk away. It can be a bit expensive for the experience but is currently included for free for Barcelona Pass holders so I’d definitely recommend that Pass holders plan a stop here. Note that getting to the Gaudí Experiència (as well as Park Güell) requires walking up a hill from most locations so those with mobility issues may want to arrange to be dropped off at the entrance. There you have it, our guide to Gaudi’s Barcelona! We hope that this helps you plan your own trip to Barcelona and decide which Gaudí attractions you want to visit. Which of these Gaudí sites in Barcelona would be on your itinerary? Have you visited any of these attractions? If so, we’d love to hear your thoughts about which ones you enjoyed the most. Planning your trip to Barcelona and have a question, just leave it as a comment below and we’ll try our best to answer it! As always, we love to hear from you! Disclosure: We received free entry as press or through free entry arranged by Barcelona Turisme in order to experience and write about many of these Gaudí sites. However, we also paid for several of our entrances to the sites listed in this article. As always, this article contains only our own honest thoughts and opinions. You can read more in our Ethics Code about how we accept work. Wondering if you had any info on the current state of renovation work at Park Guell? With the upper Nature Square under construction, does it make sense to take time out of 3 day schedule to visit? We were there in Park Guell in January and there was construction in the Monumental Zone and within the Nature Square, but it didn’t really affect access to most areas or anything, but there was definitely an area covered with construction materials. But of course it is difficult to know what specific area and how access might be affected on any given day. You could try calling ahead and asking. But if you really want to see it, I’d recommend going as even in the square is under construction, there are Gaudi structures and influences in several areas and his last home. If it is not high on the list, I’d maybe skip as it is always a crowded spot and not super close to most other popular attractions in Barcelona. You probably already know this, but Casa Batlló is also under construction, including the entire facade and part of the interior. It is still open for visits but lots of scaffolding. I believe the restoration work is supposed to all be completed by July 2019. 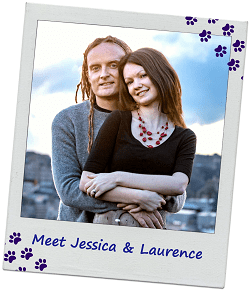 You can read about the progress on their website. Omg thank you so much for sharing this, so informative and detailed guide. I will definitely use for my upcoming trip to Barcelona. 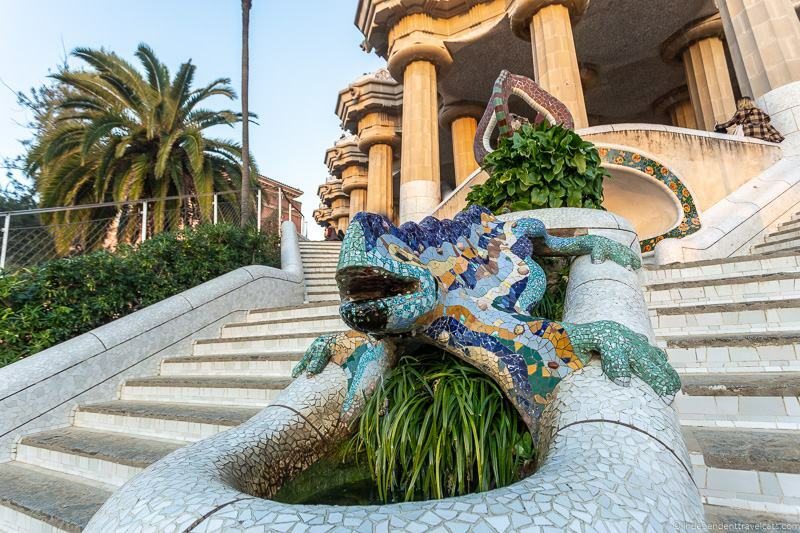 Planning a trip to Barcelona and want to see some of the Gaudi highlights and this is very well thought out and helpful… Thank you for your article! In May it was our third visit to Antoni Gaudi’s fabulous La Sagrada Familia and yet again we were in awe! The detail in this cathedral is mind blowing… from a distance, it looks very Gothic in nature but then you get closer and every single element leaves your jaw hanging. From the lighting, the tree-like columns, the sculpture… It’s safe to say we have witnessed a work of art in the making! Incredible! Wow, I didn’t even realize there were so many different Gaudi sites. Definitely going to favorites this because my GF and I are headed to Barcelona soon and I definitely want to check out as many of these as we can! Did you find the Barcelona Pass was worth it otherwise? I’ve used passes before in quite a few cities but it’s always a toss-up whether or not it’s actually worth using. Yes, there are a lot of great places in Barcelona for Gaudí lovers! I would certainly not try to see them all but choose the ones that sound most interesting and be sure to head there. If you plan to visit in the summer, many of the sites become very busy and I would try to do one each morning when it first opens for the best experience (crowds and lines can really spoil the experience), and book ahead when you can. We’ve used the Barcelona Pass as well as the Barcelona Card. The Card is mostly discounts but also offers free entry to most of the city’s art museums and several other museums as well as free public transit. The Barcelona Pass offers free entry to over 15 attractions (includes several Gaudi sites) as well as free HOHO bus travel. 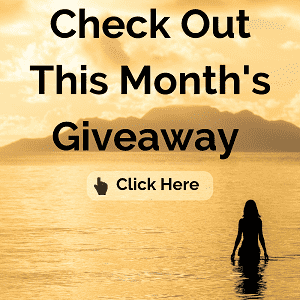 Whether either pass is worth it really depends on what you plan to do – I would make a list of all the places you definitely want to see and then match it up against the list of included sites for the the passes. We did save money (and time) with the Barcelona Pass but we also visited many of the sites/attractions included on the pass over a 3-day period. Hope that helps! We are working on writing a detailed post on this soon, but it is not up yet unfortunately but do check back over the next month or two! Very cool! Love all things Gaudi! I think the true genius of these works are lost sometimes because of the crowds. I was really impressed by what I learned from Gaudi during my last visit to Barcelona. 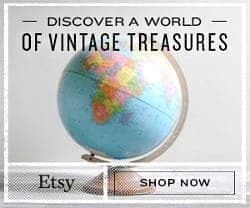 Great post about Antoni Gaudí in Barcelona. Loved this information and thanks for such a great list. It will help a lot whenever I will plan for my Barcelona trip. Pictures are amazing! Thanks for the photos of Gaudi’s wonders in Barcelona. I would like to go back and re-visit Sagrada Familia to see how much progress has been made since I last visited a number of years ago. One of my favorite things I did in Barcelona was a free walking tour of Gaudi’s work (many of the places you noted were covered in the tour but not all). Very comprehensive post, as always. I found out a lot by reading it. I didn’t know that he was asked to create those lamp poles. In fact, I can’t remember seeing them in Barcelona, although I visited the city several times. It seems that a lot of the scaffolding was removed since I last visited Sagrada Familia. What a picturesque and charming place! You explore beautiful places and take great photos. Great post and stunning photos as always. Unfortunately we did not get to see all of Gaudi’s sites when we were in Barcelona but did enjoy those we visited. Our hotel was only around the corner from Sagrada Familia and was chosen purely for this reason. It was stunning to see at varied times throughout the day/night and a site I will never tire of. OMG I love this!! I fell in love with his amazing work my first time to Barcelona! I knew there was more I didn’t get to, but not THAT much more! These are all awesome! Definitely pinned this! I’m currently waiting to see if I’m meeting my stepmom in Barcelona later this year, so if I go, I’ll definitely be using this as a a guide!!! Beauiful! And I had no idea there were this many different sites. Very cool. I really liked the pics of Casa Vicens. As usual, you’ve delivered a very informative and detailed post. I didn’t quite realize there were so many Gaudi sites in Barcelona. It’s been 20 years since I’ve visited. At that time, visitors could only view Sagrada Familia from the outside. I cannot wait to return and see the interior. I’d also like to visit one of the private homes, perhaps Palau Guell, he was commissioned to design. I’m surprised at how simple the Gaudi House Museum is considering how ornate his works for others are. Wow, what a comprehensive guide! We are off to Barcelona this summer so this will be perfect for our trip..pinned! I am a huge fan of Gaudi so I absolutely loved this post. I only had time to see La Sagrada Familia and Park Guell so I definitely have several of these on my list for next time. You have so much great information, which is really helpful.